At the weekend, S and I took her niece and nephew off to Dublin Zoo. It’s a far cry from the original Victorian edifice; the zoo opened in 1831 in an era that straddles Georgian and Regency, just prior to the long reign of Queen Victoria. Of course, this English history is relevant to Ireland for a whole load of reasons that we needed delve into here. When the zoo opened first, it was obviously a product of its time. There are vestiges of the old architecture still amongst the shiny new buildings and enclosures. Without doubt, the quality of the workmanship was first-rate, but they didn’t necessarily make for ideal places in which to house animals. The zoo today is a credit to the city; great effort has been made to create decent spaces for animals to roam. And yet. Roam. Not really. You cannot roam the ‘African Plains’ as a giraffe, zebra or rhino when you only have a few dusty acres of sparse grassland. The gorilla and chimp enclosures (great word, that; it’s really a fancy word for a large cage) are similarly impressive but I wonder what the great apes think of their world? These two seem rather impassive as they lounge in full view of the viewing public. What can be as entertaining as the animals on the other side of the glass are the comments from the ones on your side. The world’s most advanced mammals can really come out with some daft nonsense at times, and you can learn a lot about social behaviour from this globally dominant species if you stand quietly near one of these gorilla or chimp enclosures and listen to the noise around you from Homo sapiens sapiens. There is a risk of losing yourself in anthropomorphic babble, of course, (not least when you see one of the gorillas wearing a shawl fashioned from sacking) or consoling yourself with Gary Larson-esque cameos (when the crowd drift away to their homes and the apes sit around and discuss the crazy people they see on their ‘TV screens’ – display windows – each day). But mostly that’s just guilt generating those comforting images. Whilst I’m on this theme, you can find footage on YouTube from Dublin Zoo of an Orang Utan rescuing a baby Coot from the water with a large leaf. Just to really rub it in. Opened in 1831, the zoo describes its role as conservation, study, and education. Its stated mission is to “work in partnership with zoos worldwide to make a significant contribution to the conservation of the endangered species on Earth”. And I can buy into that. I can rationalise and justify. And I can queue up and buy my tickets. And I can blog and I can question the whole deal. I have a similar uneasy relationship with religion too, to be honest. But enough about zoos. I always know when I visit, I will see something new and interesting, and the recent visit didn’t disappoint. The Red River Hogs where charming, and the African Painted Dogs seemed suitably energetic. I guess I just prefer my wildlife to be, well, wild. I am unlikely to see any of these species in their natural habitats, but I’m okay with that. As long as they have habitats, that is. For many, loss of habitat is what’s killing them off, and that’s completely our fault. The smart ones. The dominant species. The ones that stand in front of the toughened glass and make stupid faces at the gorillas, drag our screaming offspring from pen to pen, leaving a trail of litter behind us to ensure everyone knows where we’ve been. The wildlife moments I enjoyed more, I suspect, were the ones I didn’t plan, or pay to see. 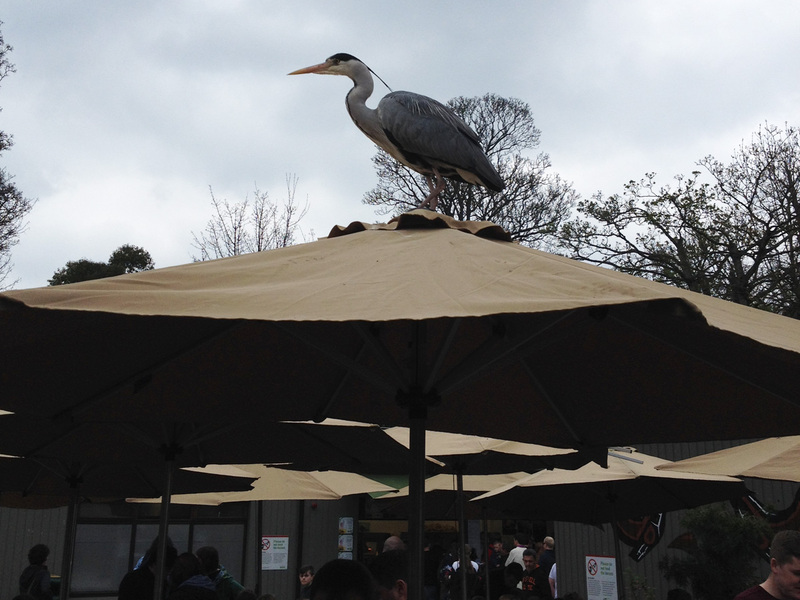 Above are a few of these: a heron sits atop a canopy at one of the many human feeding stations at Dublin Zoo, near to the sea lions, where they hope to cadge a few bits of fish. 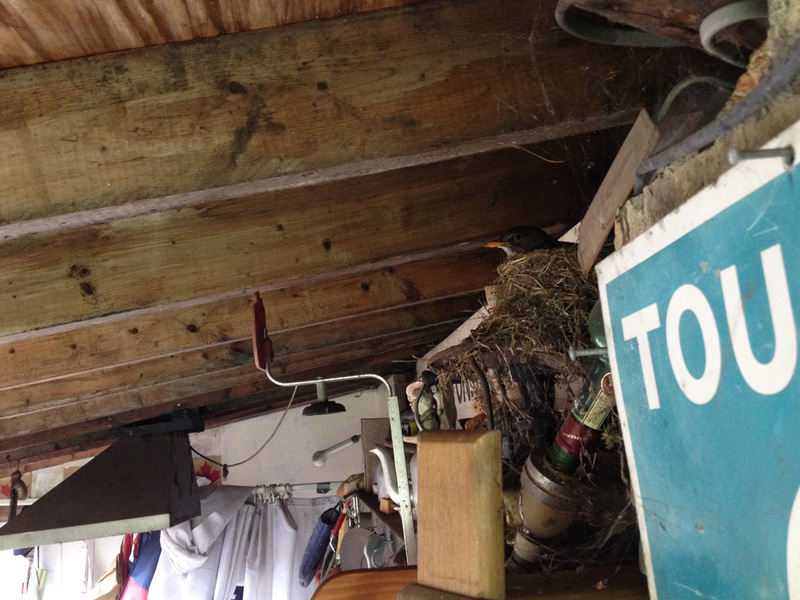 There is also a sneaky pic of a nesting bird next door; either a blackbird or a thrush – I don’t want to disturb her too much. But time will tell; there was a nest here last year too. 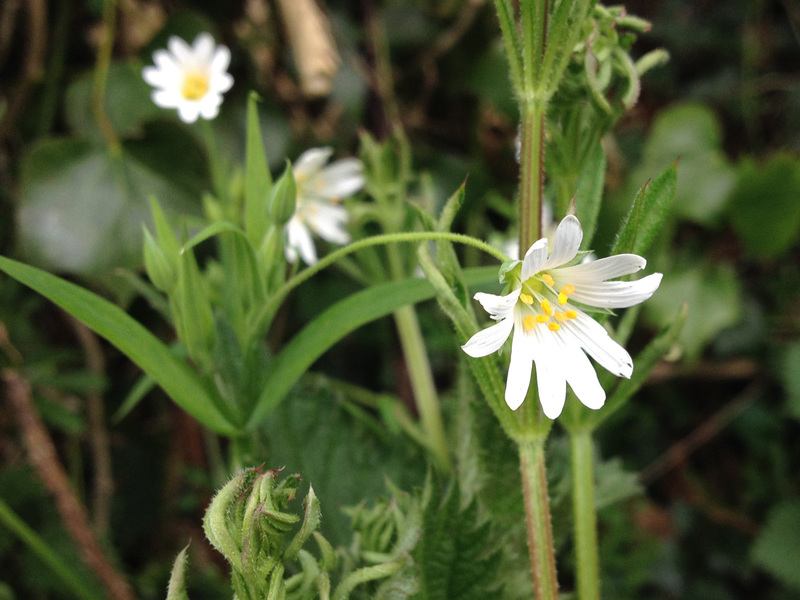 And then there are the seasonal shots of Stitchwort and Toothwort from the local park. The suffix ‘wort’ or wyrt is an old English word meaning plant or herb (originally it meant ‘root’), and more specifically it refers to plants that were considered useful for some medicinal purpose, or as a food. 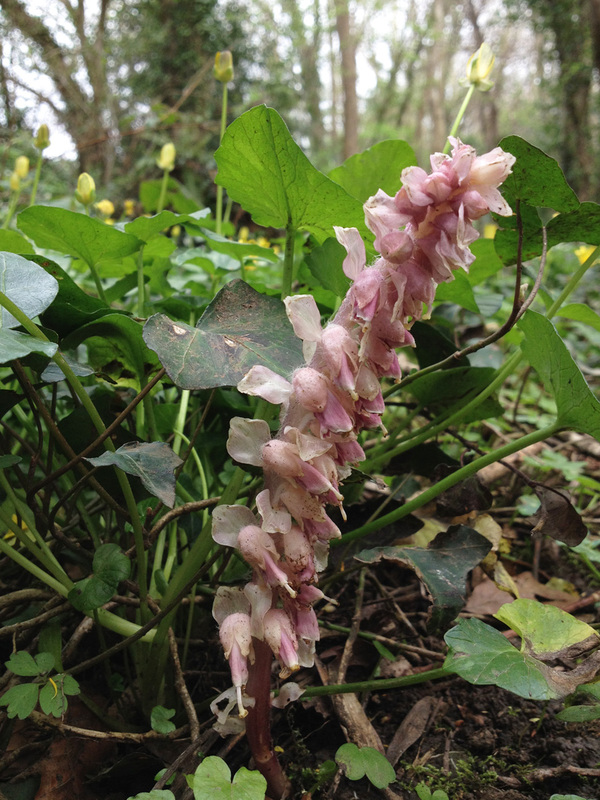 A quick glance here will show you how many plants were considered to have some properties; in many cases, there is a clue in the name as to what the herbalist considered the plant to be useful for. In other news, my lucky running streak continued as I took part in my local GAA club’s chip-timed 5k run as a pacer. I went around in 25 minutes, which is a nice and handy time, both to run, and to pace. I wouldn’t have fancied trying to pace any faster, nor any slower, I reckon. And afterwards my name was pulled out at random and I won a €50 voucher for a local bike/triathlon shop, so that will be a nice bonus at some stage. Setting off on the 5k run; I’m pacing 25 minutes, with a balloon in tow! Zoo and religion! What an entertaining comparison.